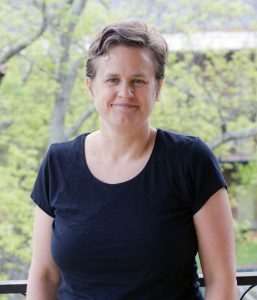 Associate Professor Lucy Curzon has published the first full-length study of the British group Mass-Observation’s engagement with visual culture. 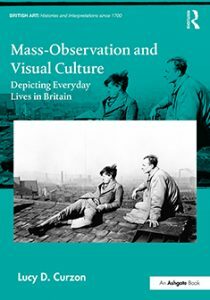 Mass-Observation and Visual Culture – Depicting Everyday Lives in Britain (Routledge, 2017) critically analyses the role that visual culture played in the early development of the innovative British anthropological research group founded in 1937. In Curzon’s new book, she explores the paintings of Graham Bell and William Coldstream; the photographs of Humphrey Spender (brother of Stephen Spender); the paintings, collages and photographs of Julian Trevelyan; and Humphrey Jennings’ photographs and widely recognized Mass-Observation film, Spare Time, among other sources. Her research positions these works as key sources of information with regard to illuminating the complex character of British identity during the Depression era. Curzon is associate professor of art history in the UA Department of Art and Art History. Her research focuses on issues of identity politics as they concern the production of visual culture in twentieth-century Britain. She has previously published work on LGBTQ+ portraiture, as well as articles or chapters on the Ashington Group and Humphrey Spender’s photographs of Blackpool in the 1930s. She regularly presents her work at national and international conferences. She received the PhD in Visual Culture Studies from the University of Rochester in 2006 and holds a doctoral certificate in Gender and Women’s Studies. In addition to her research and teaching, Dr. Curzon has organized numerous exhibitions showcasing the work of both regional and nationally recognized artists. She serves as Director of Graduate Studies for Art History and is editor-in-chief of FutureForward, the journal of Integrative Teaching International.